What can designers do to defend us in troubled times like these? 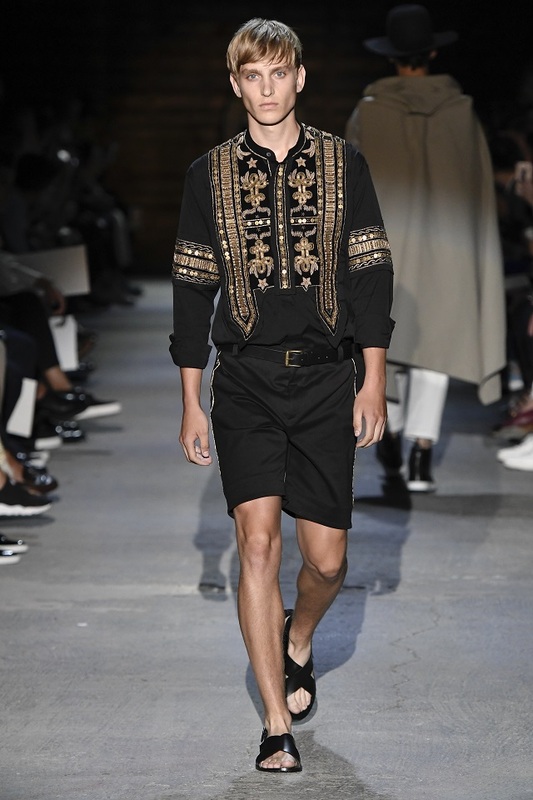 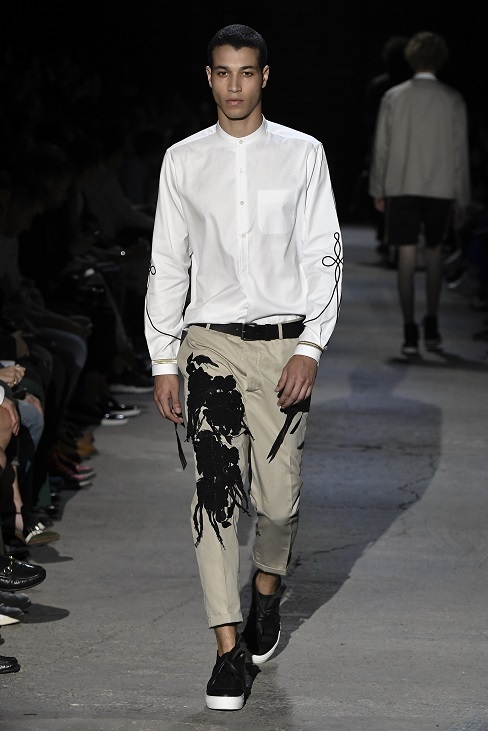 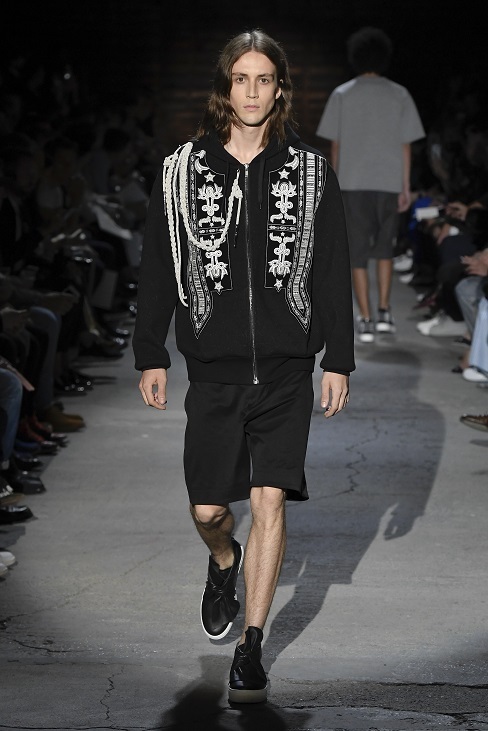 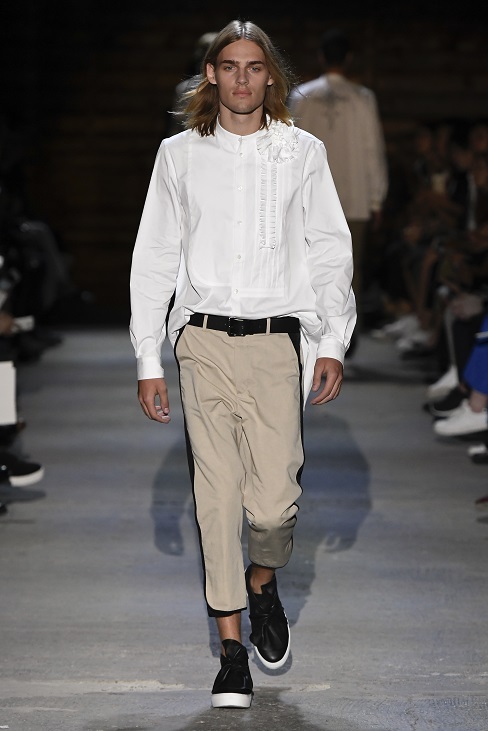 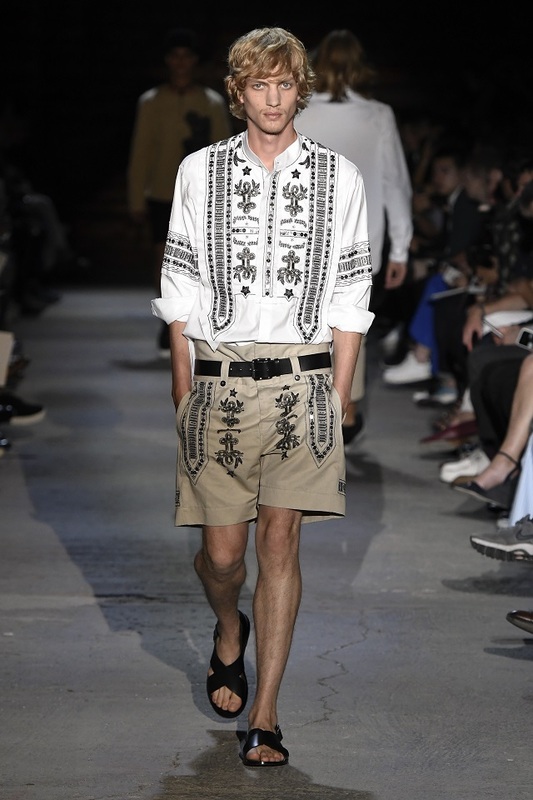 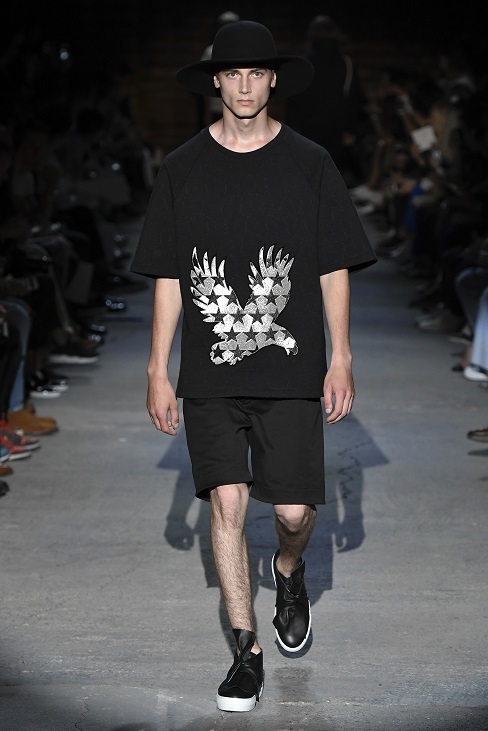 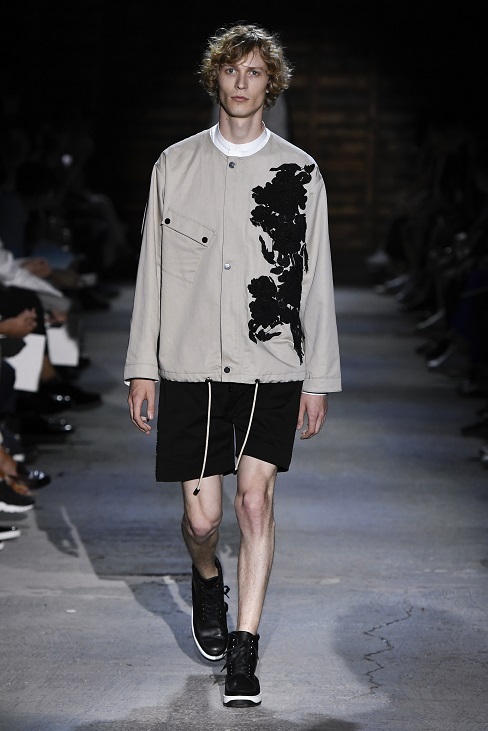 Reinterpreting the male wardrobe with an excess of gentleness, adding romanticism to military wear, giving a new twist to their decorations, adding flowers and re-embroidering everything with poetry is what Milan Vukmirovic has chosen for the SS2017 of Ports 1961. 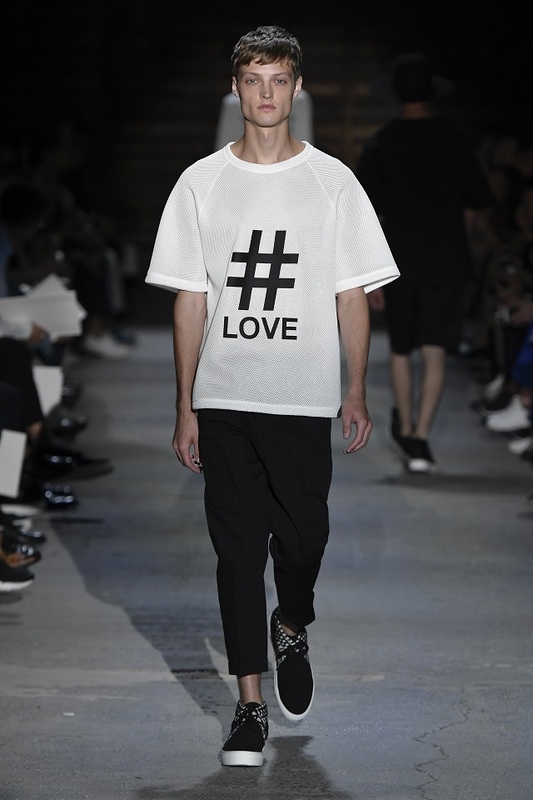 Fashion not only dresses us but affects us and protects us. It reflects the times and can convey deep messages. Uniforms have always occupied a privileged place in the fashion pantheon. 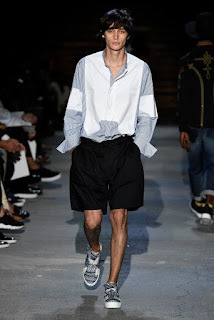 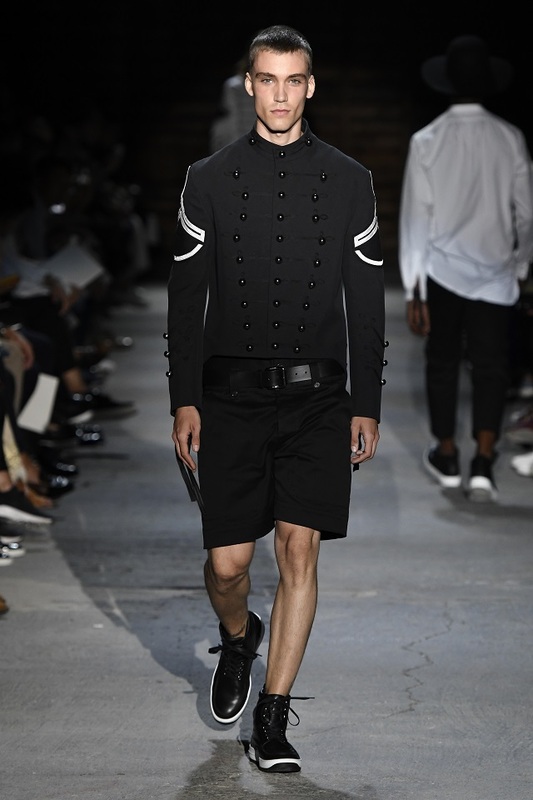 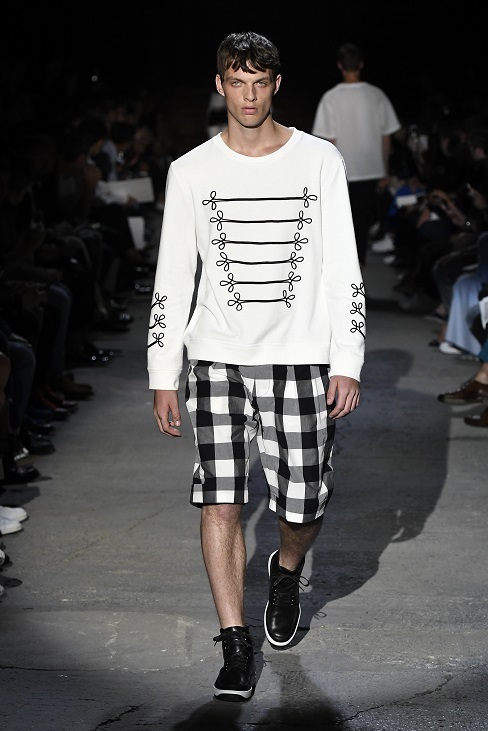 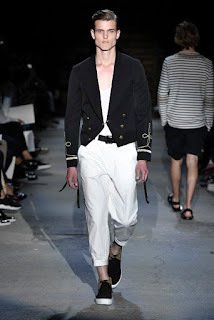 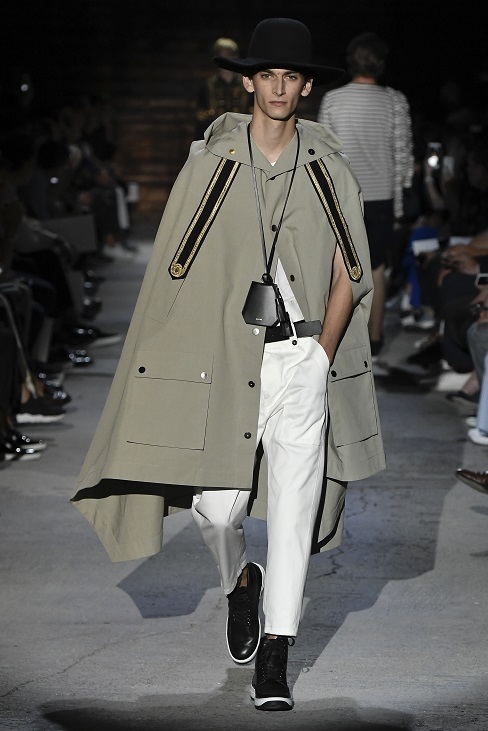 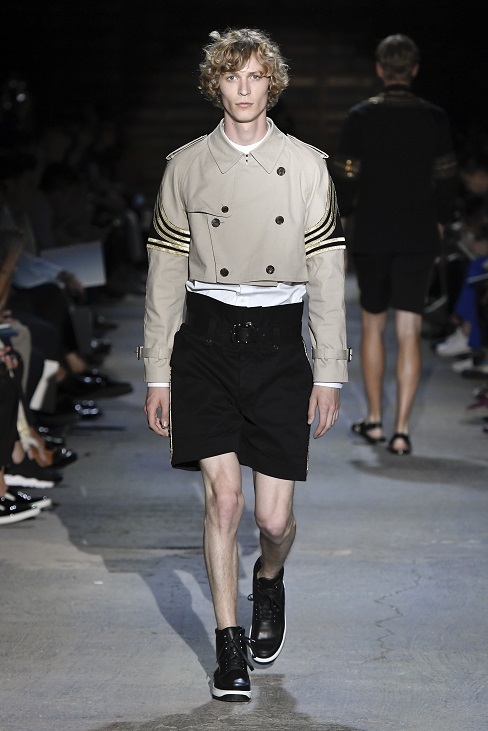 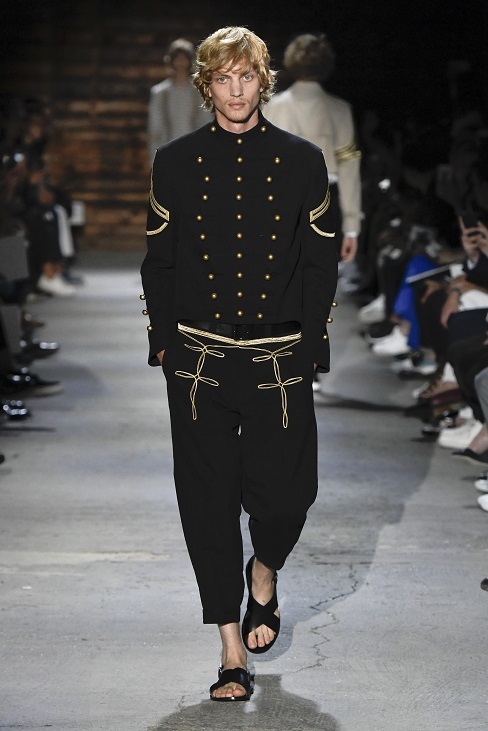 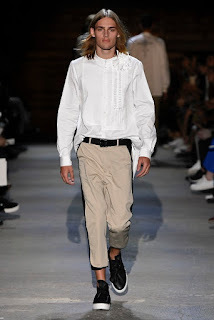 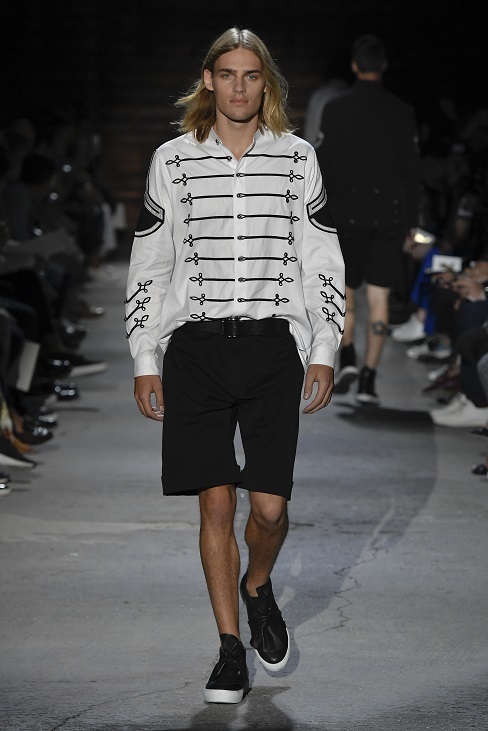 With Milan Vukmirovic’s fourth collection for Ports 1961, the French artistic director does not restrict himself to lines of perfectly conceived army uniforms on which much contemporary fashion is based. 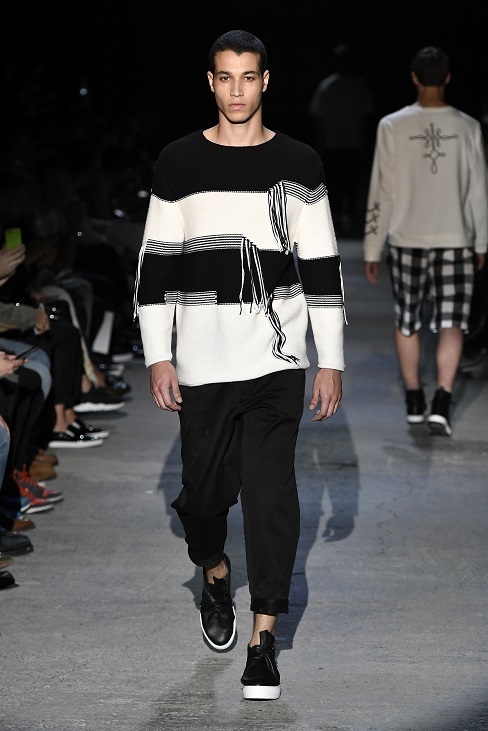 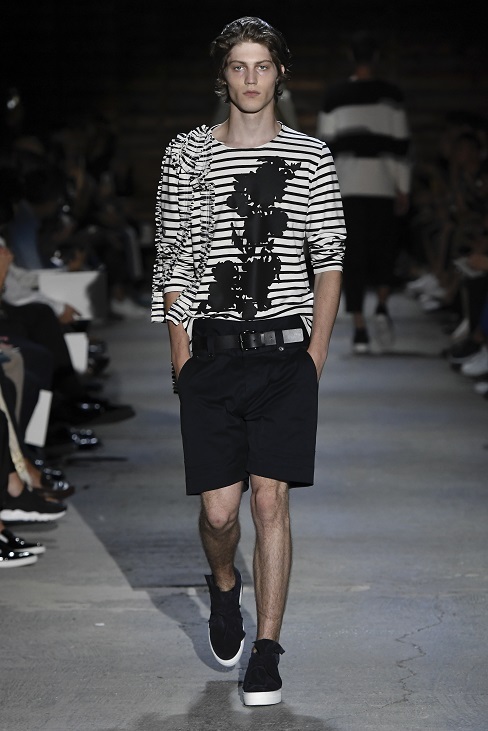 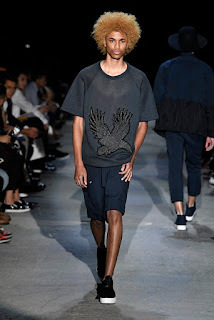 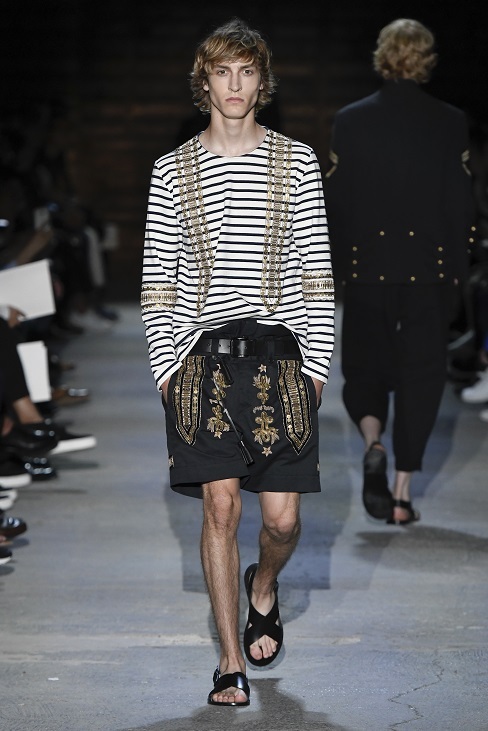 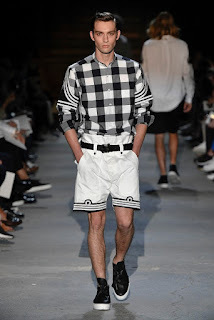 He also appropriates their stripes, insignia, frogs and ceremonial braiding, sensitively transferring these details to jerkins, shirts, sweatshirts and shorts. 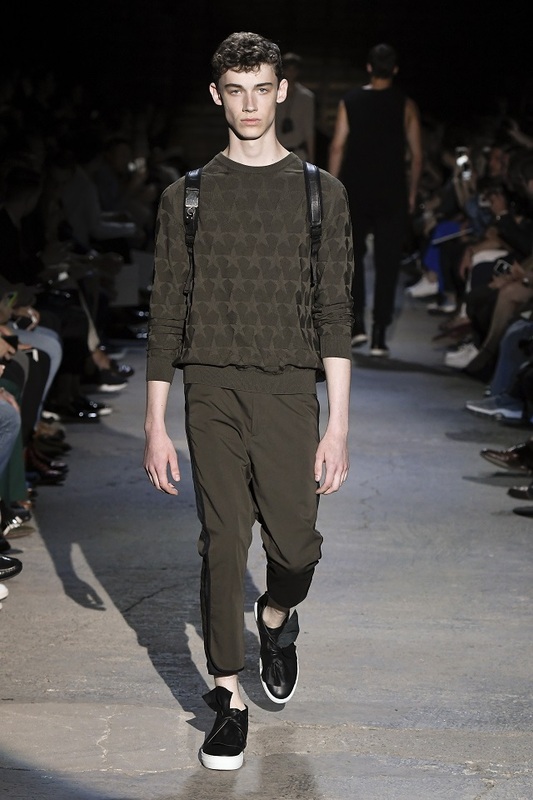 This military influence, playfully redefined, is boosted by references to classic sportswear. 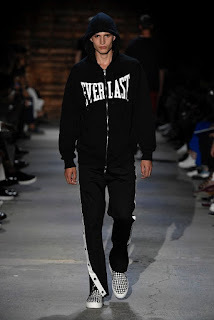 As part of the collection, a partnership has been signed with Everlast, creating a capsule collection that is distributed exclusively by Ports 1961. 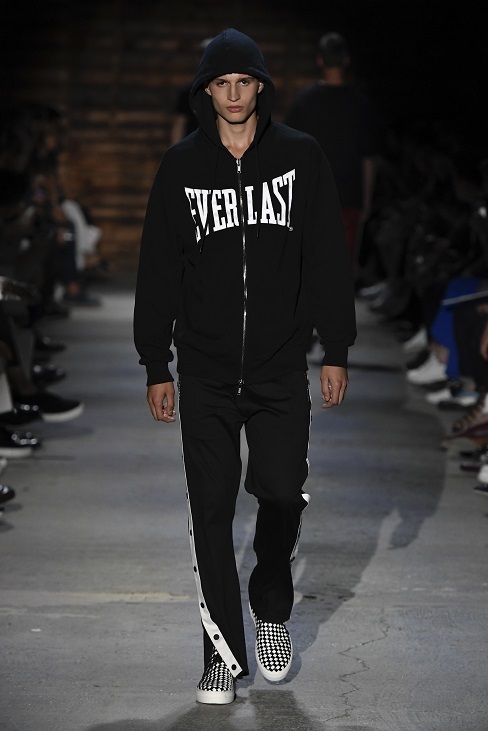 The iconic logo of the American brand is reworked in large dimensions on a selection of sports pieces with a new, more pronounced fashion accent. 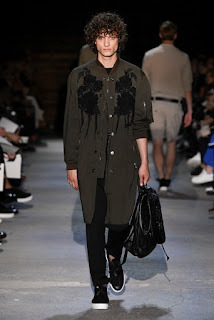 In parallel with this, abstract flower emblems are also key, appearing layered on raw edge poplin over shirt fronts, in tone-on-tone embroidery on lengthened bomber jackets, and screen-printed to break up the graphic rhythm on sweaters and marinière T-shirts. There are stripes but also jacquards and, above all, the Star Camo design which the fashion house has adopted as its own for four seasons, which adds dynamism to the season in a range that stretches from ecru to black via navy blue and olive green. The accessories are also part of the celebration. Backpacks and sneakers continue the textile motifs of the ready-to-wear. 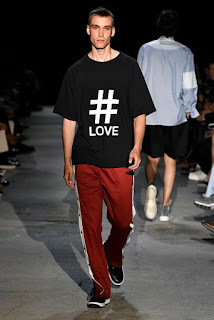 A new line of objects and small leather goods in smooth leather has the golden signature #LOVE, the hashtag for SS2017, which is also found on the garments, updating the #followme which has characterized previous seasons.